HCM CITY – Southern provincial authorities should be more committed to work with HCM City to expand trade and export of Vietnamese products, the head of the city’s Investment and Trade Promotion Centre (ITPC) said yesterday. Phạm Thiết Hòa, director of the centre, was speaking at a meeting with representatives from investment and promotion centres in several southern provinces about measures to help local companies enter foreign markets. HCM City has signed cooperation agreements with around 40 cities and provinces countrywide with an aim to diversify products in the city’s market and help bring investors to provinces. But due to a limited human resources and cost inefficiencies, the city cannot visit every single province to help promote trading and investment activities. Thus, it is seeking to form regional cooperation with southern provinces to make good use of their strengths and resources, he added. 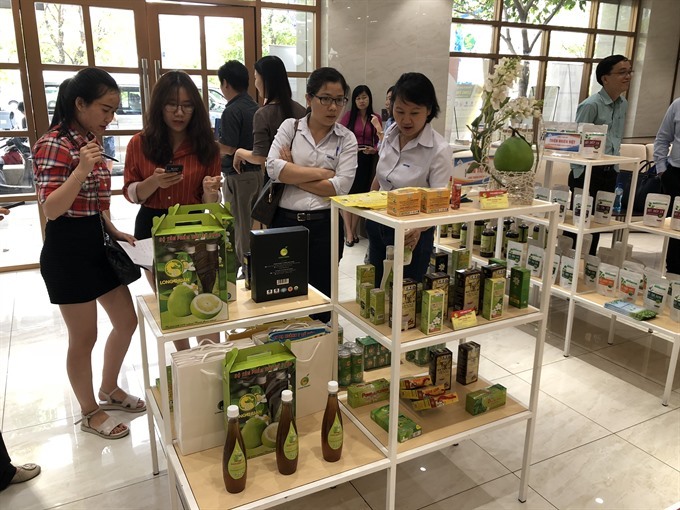 ITPC recently inaugurated a showroom on Nguyễn Huệ Pedestrian Street to not only showcase specialties and new products of local companies, but also to serve as a contact point for investors and foreign businesses looking for opportunities in southern provinces. “Nguyễn Huệ is a ‘diamond’ street where there are many big investors as well as branch offices of foreign companies. It will attract a lot of visitors and businesspeople on vacation who also want to look for investment opportunities in Việt Nam,” Hòa said. He said the showroom is an effective model which has been adopted by other countries. As each province holds an investment and trade promotion only once a year, if foreign investors miss it, they will have few opportunities to seek investment information. They can visit the showroom when they are free to do so. At the showroom, ITPC staff with good English speaking skills will also be trained to provide information about provincial markets, he added. Tina Phan, Indochina director of the Hong Kong Trade Development Council (HKTDC), said that accessing information is one of the biggest challenges faced by Hong Kong businesses that want to enter the Vietnamese market. “Việt Nam has a very vibrant business environment and everyone wants to tap into it, but the problem is that information is not easy to obtain,” he said. To help Vietnamese companies find businesses opportunities in Hong Kong and bring Hong Kong businesses to Việt Nam, HKTDC has organised several trade and investment promotion events.